On the experimental margins of the brewing world, brewers have embraced wild yeasts and bacteria more and more in search for exciting new beers. 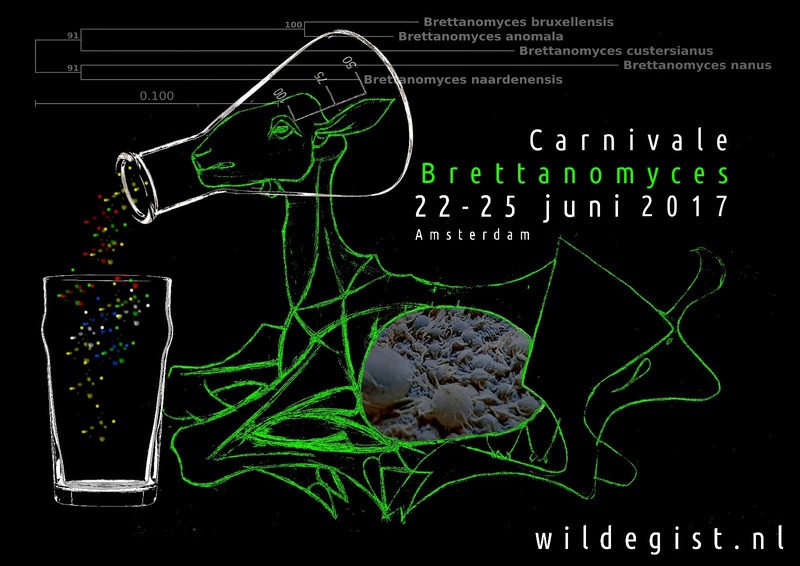 Over the past five years, festival Carnivale Brettanomyces has provided this peripheral practice a central spot in Amsterdam, highlighting all kinds of beers fermented in an uncontrolled way. From the 22th till the 25th of June this year, these beers will flow freely again in Amsterdam. The menus of a number of fine Amsterdam beer joints will turn a whole lot more sour and/or funkier during the festival weekend. You can confront your taste buds with unconvential tastes in Arendsnest, BeerTemple, In de Wildeman, the brewpubs of De Prael and Oedipus and beerstore De Bierkoning. On their menus you will find the names of Dutch pioneers such as Katjelam, Oersoep and Tommie Sjef Wild Ales. But they will also pour more experimental brews from the likes of Buxton, Brewed By Numbers and Goose Island. On a festival like this, the Belgian sour beers of Cantillon clearly had to be included too. During Carnivale Brettanomyces, knowledge about “wild” fermentation flows as freely as wild yeast cells. Knowledgeable bloggers, yeast researchers, pioneering brewers and other fermentation experts gather in Amsterdam to share their experiences and expertise. Derek Dillinger, the man who exclusively ate and drank fermented stuff will be there. So is Jeff Sparrow, author of the classic book Wild Brews. Lars Marius Garshol will reveal some of the secrets around the mysterious Kveik, a Norwegian farmhouse yeast. The list of similarly interesting speakers is long and promises anyone interested in the wild side of brewing much joy. Numbers of places is limited and tickets sell fast so make sure to check the program and book your seats.